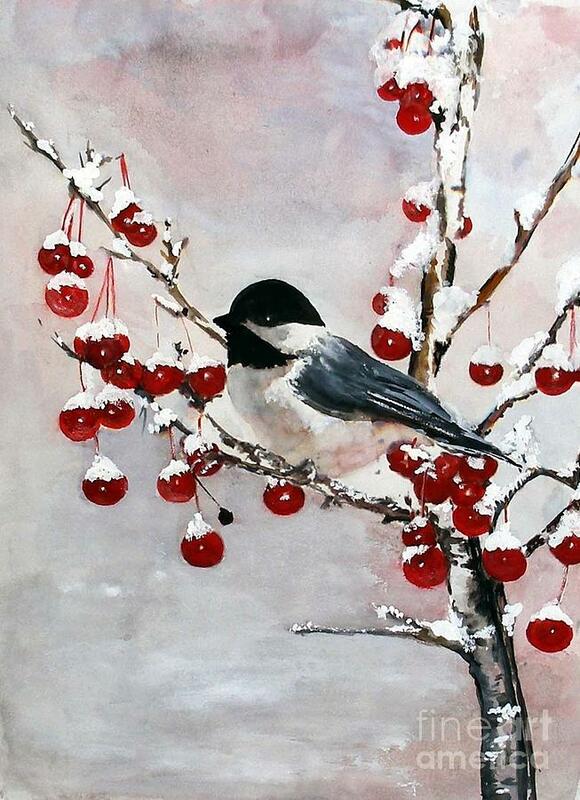 Chickadee With Red Berries is a painting by Sibby S which was uploaded on January 14th, 2010. Shirwan - thank you so much. Gorgeous artwork! Love the contrast in berry and icy background. Very kind of you to leave such kind comment Yuliya. Sibby, another beauty, congrats on your sale. Sandi - always nice to see your comments - thank you muchly and thank you too for your congrats. Gorgeous depiction of this gorgeous scenery done with your watercolor talents, Sibby! I just love the colors, and the preciseness of the imagery. Your soft, muted background is awesome! Got the big F/V on this beauty, and congrats on a very worthy sale! Randy, my, I really appreciate your very kind comment, thank you. Beautiful image! Just so lovely!! Congrats on your sale! Beautiful work. And congrats on the sale. Congratulations on your sale Sibby!! I love Chickadees, Congrats on your sale Sibby!! Stunning work. Congrats on your sale! What a wonderful piece. Simple and elegant. Very nice work indeed. Patient and meticulous work! Thank you Mary for your sweet comment and Rod - once again I would love to add your words to my Chickadee to make it complete. I quite like that idea - my chickadee with your words describing it. That evokes not just a smile but a huge almost evil grin!! Giggling here. Thank you both - I appreciate your words.